With its basis in the 1970s arts/craft movement, contemporary ceramics has one eye on the past while looking forward to new forms, techniques and processes. 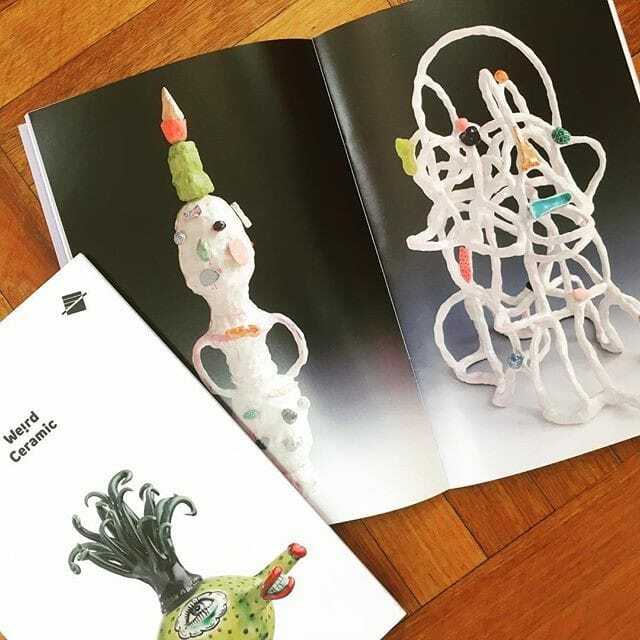 Weird Ceramic is a survey of the strange and peculiar in current practice among Australian ceramicists. Curated by Simon Gregg, it features twenty-seven works by practitioners Glenn Barkley, Stephen Bird, Chris Dolman, Lynda Draper, Donna Green, Emily Hunt, Philjames, Jenny Orchard, Stephen Ralph, Sarah Smuts-Kennedy, and Vipoo Srivilasa.